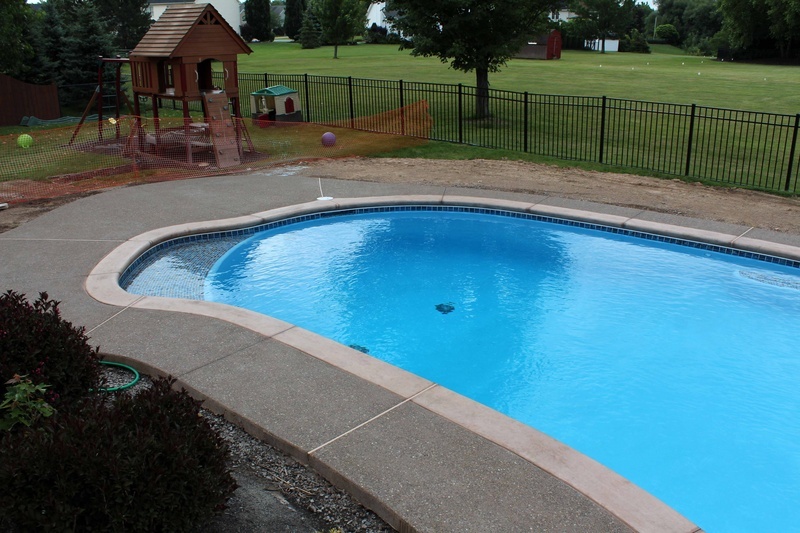 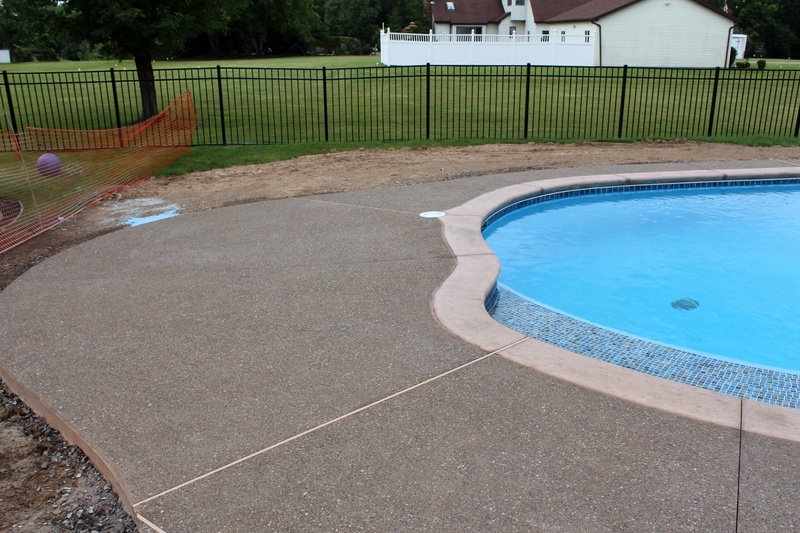 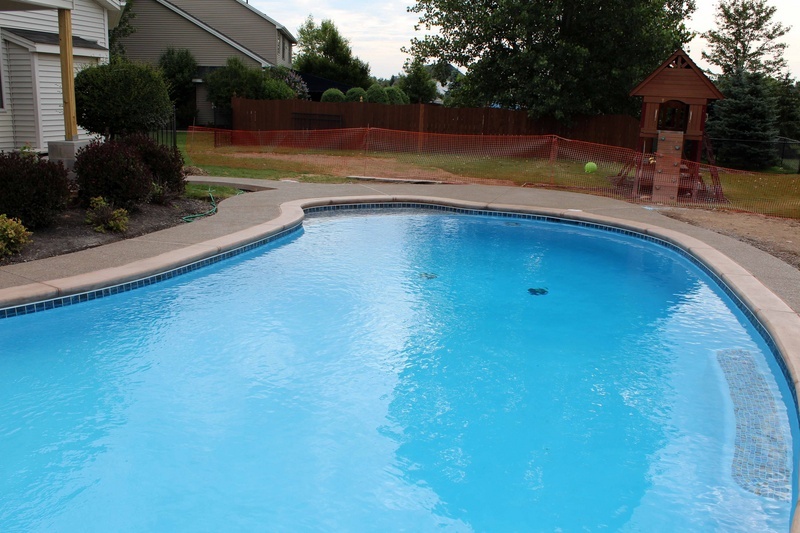 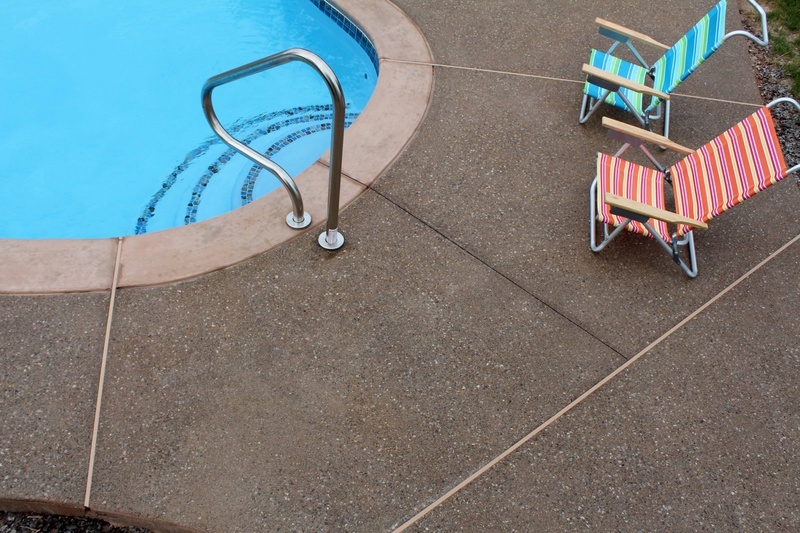 This pool deck is unique because it is a single pour concrete finished with two different techniques. Colored concrete with a broom finished border outlining a colored exposed aggregate deck. 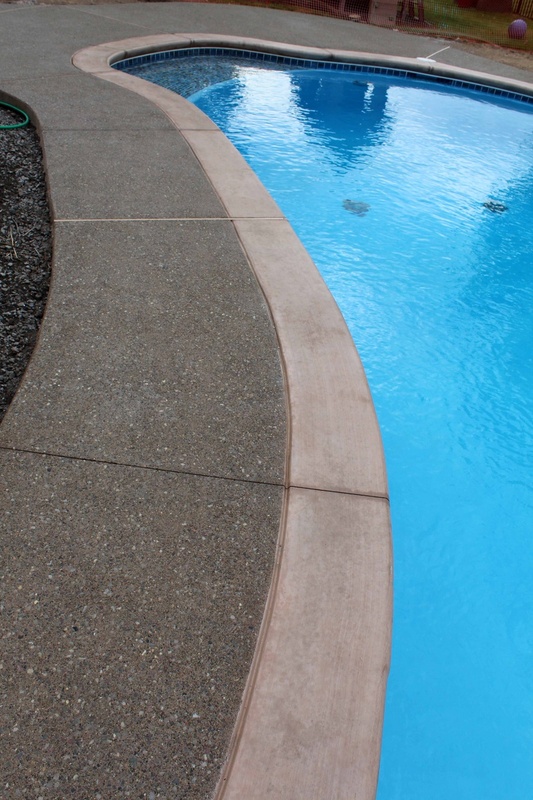 The advantage to a single pour is the strength of the concrete!